Amanda Byrd is from Deerfield, IL and has been working in the restaurant industry her whole life. Her first job was as a cashier at a local diner when she was 16 years old. Amanda worked for the diner for ten years eventually working her way up to becoming a shift supervisor. 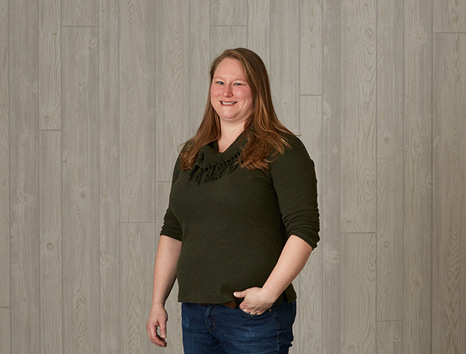 Before moving to Madison and joining Food Fight Amanda worked in New Orleans for eight years where she earned her introductory-level Sommelier. "I love working with people who are passionate about what they do. Working at a restaurant is hard and you need to be passionate or you stick out like a sore thumb. Either you become passionate enough to get it right or you have to find another type of job. I also love that on really rough days, even when things get stressful, you can still sit down with your co-workers and relax after work without carrying all of that stress with you." Amanda likes that Food Fight has grown as a company, and while they face some interesting challenges managing such a wide variety of restaurants, at the end of the day they are a great company to work for. "I think it's the support they have for their people. They have a wealth of knowledge and experience in the industry and behind the scenes which companies need if they want to be successful. Not all companies stand behind their employees 100% no matter what happens, but in my experience, Food Fight does. I feel like no matter what happens, Food Fight has my back. I wouldn't have encouraged my husband to work for Food Fight if I didn't believe that. We are fortunate to have found positions in Food Fight restaurants." In Amanda's free time she loves to go fishing and road tripping all over the state with her husband. She also likes to cook, bake, and loves learning new cooking techniques.